The 2008 Karate Summer Camp will be conducted at the Ryoshin-Kan Karate School in Virginia Beach Virginia from 21 July to 29 August 2008. You can sign up for one day, one weeks, mutiple weeks or the whole Camp Program. Karate Camp includes Martial Arts Training, Tournament Training Clinics, Self-Defense Clinics, Breaking Clinics, Belt Promotions, Demos, Contest, Games, Talent Show Championships, Ocean Breeze Water Park, Virginia Zoo, Museums, Movies, and lots of Fun! There are a few issues with what you propose. In the first place lets address the cost. dissertation writing services uk .From your depiction it gives the idea that you feel that the value would be about $1500 ??? I can let you know from the begin that if that is the situation you are as of now stuck in an unfortunate situation. $1500 is more than numerous individuals can bear. Not just that unless things are diverse where you live, there are numerous individuals out of work. The economy is going to put a major damper on anybody considering spending a ton of cash. Great Karate Camp that is both educational and Fun. 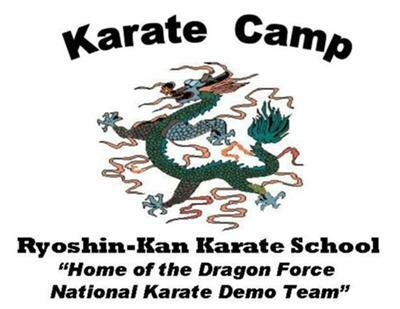 This Karate Camp is conducted by Master Thompson at his Ryoshin-Kan Karate School in Virginia Beach, Virginia. Congrats to his Dragon Force National Karate Team on their Grand Champion Demo Team Trophy at the Battle of Martial Arts Championships and at the World Fall Classic Martal Arts Championships.